At Pennzoil®, we reimagined synthetic motor oil by creating it from natural gas. Now we’re using our commitment to innovation and technology to reimagine Mario Karting, a unique racing experience like no other exclusively at SXSW Interactive 2014. Mario Karting Reimagined. 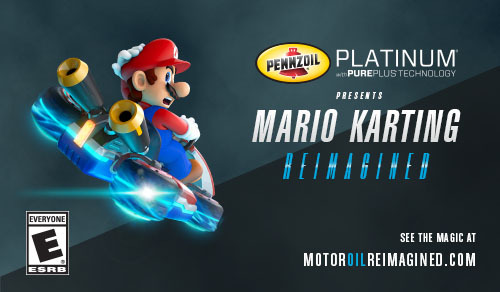 Presented by Pennzoil.® Platinum with PurePlus Technology is open to the public with free Guest Pass wristbands, available in advance or on-site at the event. Guestpass.sxsw.com for more information.